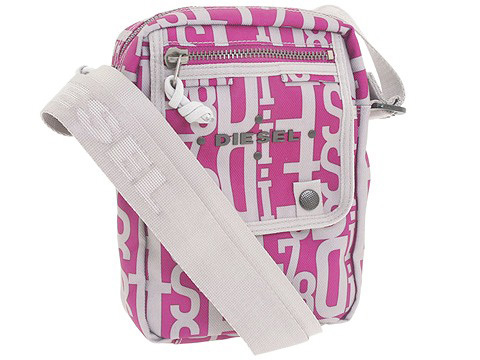 This sporty Diesel shoulder bag is perfect for storing your electronic toys on the go! ; Top zip bag made of canvas. Holds your wallet, personal technology, keys and a slim cell phone. Dimensions: 7 1/2 wide x 3 deep x 10 1/2 high. ; Single adjustable shoulder strap. 30 length. Front exterior zip pocket. Top zip closure. Interior lining with a back wall zip pocket.